Rock Star Tri: My journey back to the endurance world frequently interrupted by life : Following protocol. That IS ambiguous, but I think you played it correctly. Good job on the race! I am so happy you followed protocol! I would have been so disappointed. Plus, I think it's about as bad a bringing the Stanley Cup into the arena before the team who needs that one last win has even won. It's just bad luck. Congrats on earning that shirt! congrats on finishing the series! Nice job! I think I'd have waited on the shirt, too. I find that committing to something definitely makes me get out there. I'm cheap, so once I've paid for something, it'll take an injury (maybe) to keep me away. Congrats on being able to wear that shirt the right way! Way to follow the Protocol man! IMO, this is the equivalent of speaking to a pitcher in the later innings of a no-hitter -- you just don't do it! Protocol has been met; you have earned the right to wear it proudly! I participated in a race last year, where you were entered in a draw if you were spotted wearing the race shirt through the finish line, I was NOT IN A MILLION YEARS! 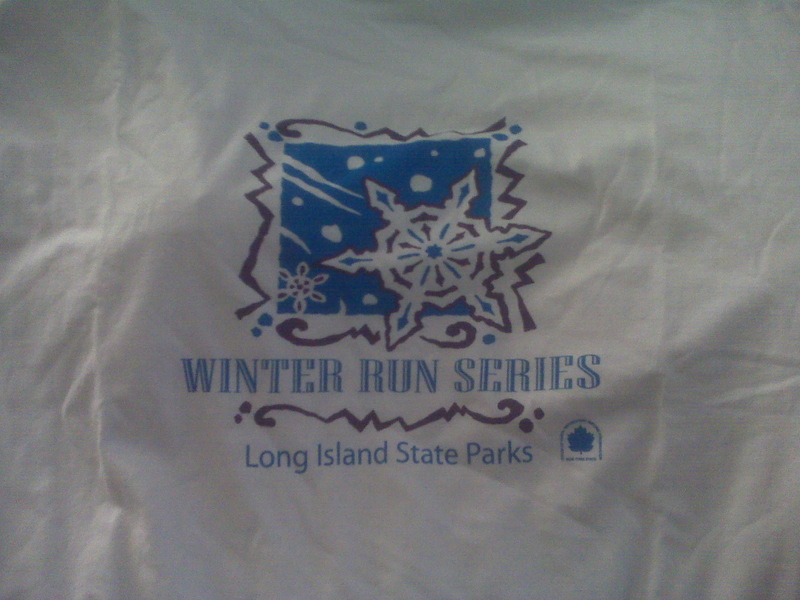 I broke protocol once - it was a point-to-point 5k & parked at the finish, but registered & got the shirt at the start. 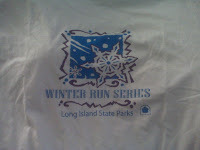 I didn't want to carry the darn shirt, so I put it on (GASP!!). It was pretty cold, so I stuck another shirt on top so it wouldn't be so blatant.